I joined the Royal New Zealand Navy as a Reservist in 2013 after a chance encounter with the Musical Director of the RNZN Band while I was busking on the main street of Devonport. I was asked to tour around the North Island with the band and before I knew it I was signing the dotted line. I had never considered joining the New Zealand Defence Force but now I couldn’t imagine my life without it. I have had so many incredible opportunities including singing at major commemorations in Gallipoli, France and Belgium. I have also attended a number of commemorations at the Auckland War Memorial Museum where I struck up a friendship with Roy Clare who was the Director of the Museum from 2011-2016 before he moved back home to the UK. Roy is an amazing man with a distinguished career in both the Royal Navy and as a museum director. He was the First Lieutenant from 1975 to 1977 with the Prince of Wales as the captain in HMS Bronington. Roy’s commands included the minehunter Bronington, the destroyers Birmingham and York and the aircraft carrier Invincible. 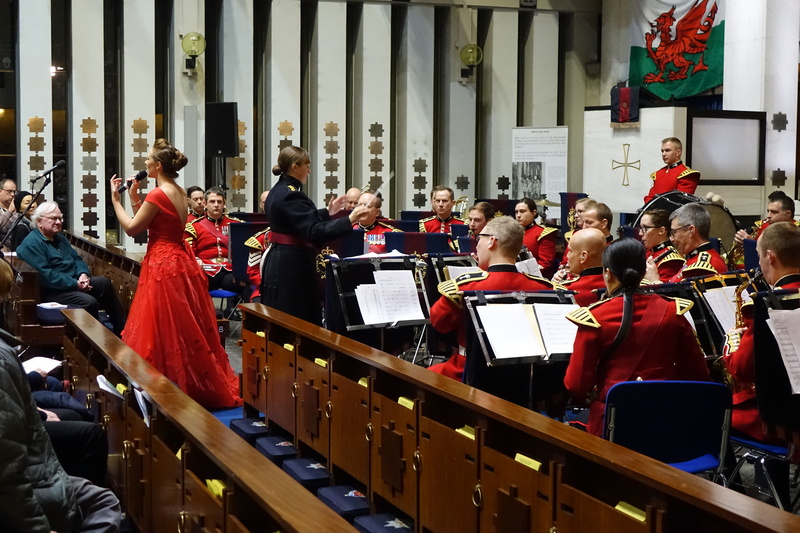 In March this year I travelled to London to sing with The Band of the Welsh Guards for their St David’s Day concert. While in London I arranged to meet up with Roy over a cup of tea and a scone. He casually mentioned that he was arranging an old ship mates’ reunion for Prince Charles later in the year. Half joking, my husband piped up and said “Do you need a singer for that?” We all laughed and then carried on chatting without giving it another thought. 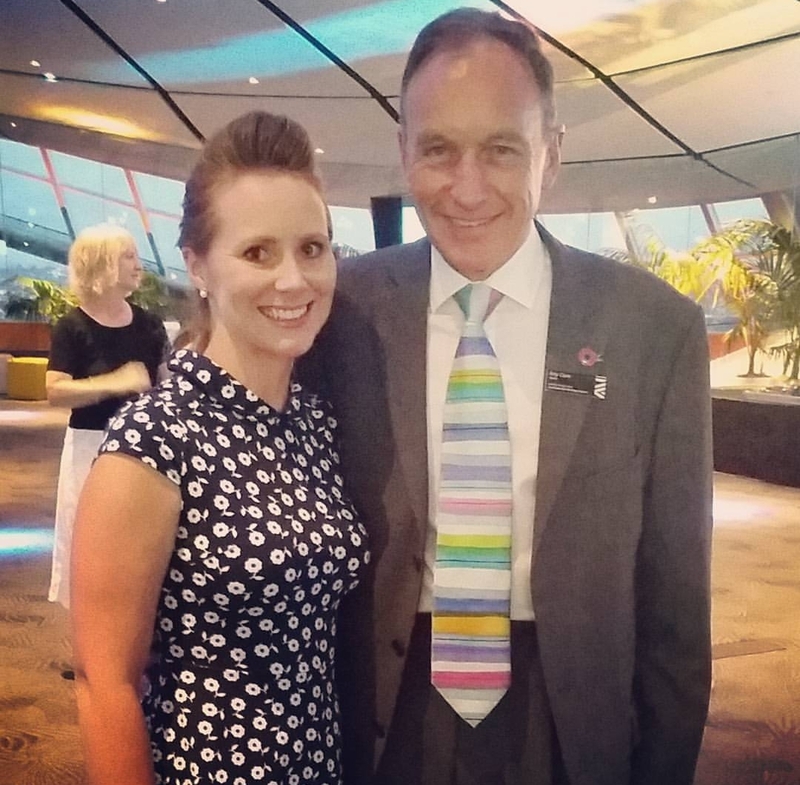 On my return to New Zealand I couldn’t believe my eyes when an invitation arrived, inviting me to sing at Highgrove, the private residence of His Royal Highness Prince Charles for his old ship mates’ reunion. I immediately contacted the team at NGAPONA to share the news and plans were underway to return to the UK. I t’s always a great honour representing the Royal New Zealand Navy overseas so I wanted to fit in as much as possible. I met a historian on a cruise ship in 2015 who told me about a beautiful village in the New Forest called Brockenhurst. This was the home of No.1 New Zealand General Hospital from 1916 until it closed in 1919. 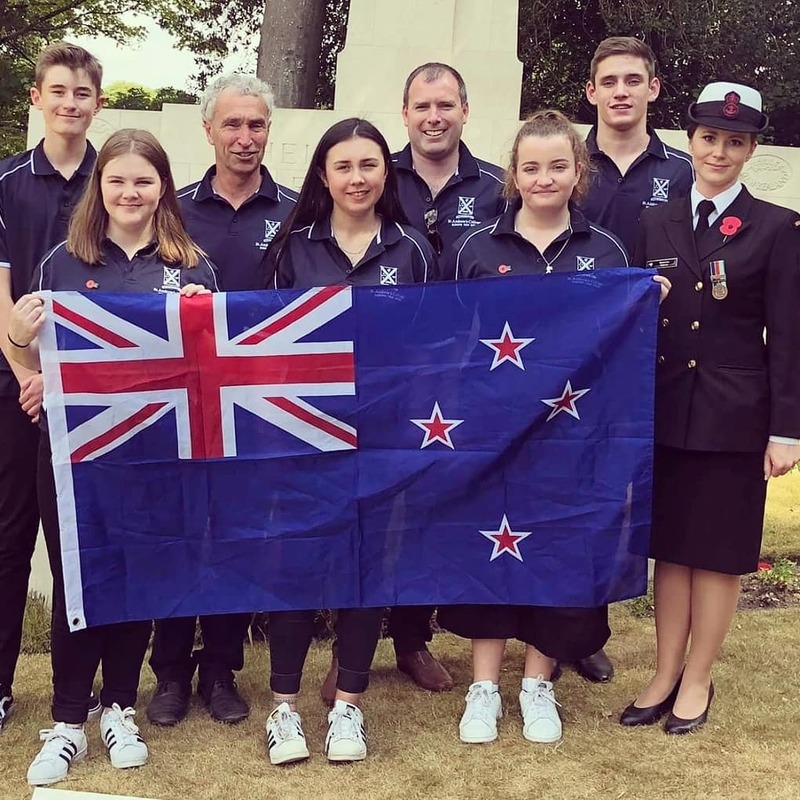 In all some 21,000 New Zealand casualties were treated at the hospital during the First World War, including 93 who died and were laid to rest at the St Nicholas Church cemetery. 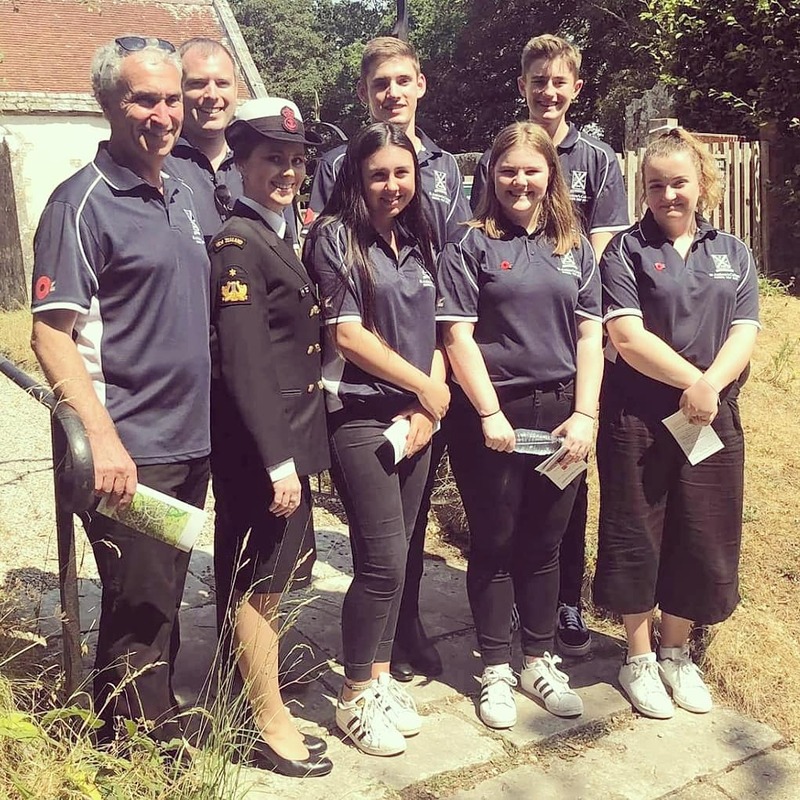 I had arranged to visit the site with the historian Colin van Geffen and it just so happened that a group of students from St Andrew’s College, Christchurch were visiting the same week. They had been researching five of the Kiwi soldiers and came to present their project to St Nicholas Church. We held a small service where the students placed a wreath and we sang the New Zealand National Anthem which was very special. I was lucky enough to be in London for the RAF100 fly over to celebrate the 100th birthday of the Royal Air Force and what a sight! 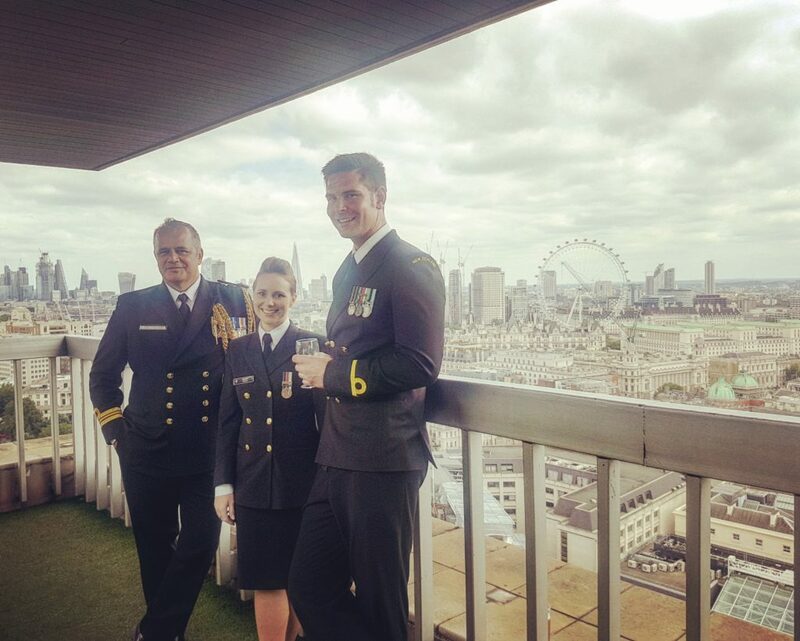 We had the best view in London watching from the spectacular terrace on the top floor of New Zealand House. Some highlights included 22 RAF Typhoons flying in formation as the number “100” and of course the Red Arrows flying over Buckingham Palace. 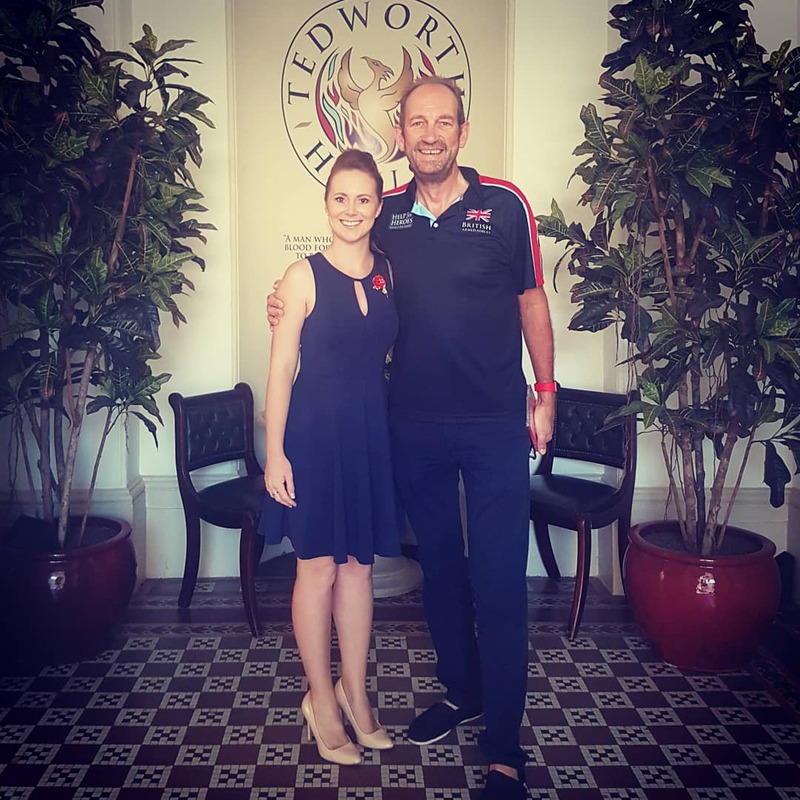 The next stop on my trip was to visit Help for Heroes, an amazing charity set up to “provide lifelong support to Service Personnel and Military Veterans with injuries, illnesses and wounds sustained while serving in the British Armed Forces”. I was introduced to one of the founders, Mark Elliot, who was kind enough to give me a personal tour of Tin Hut and Tedworth House. The facilities are absolutely incredible and the support they offer for recovery, rehabilitation and general well-being is world class. The day of the reunion finally arrived and I was so nervous, I think I must have ironed my uniform four times! Once all the guests had arrived at Highgrove we were invited on a tour of the gardens which were just incredible, it was like walking into a fairy tale. The gardens are a culmination of 38 years of imagination and passion from Prince Charles and are maintained by 11 gardeners. I wish I had pictures to share but cameras and phones were strictly forbidden. We then had a champagne reception where I sang for the guests, including Pokarekare Ana. 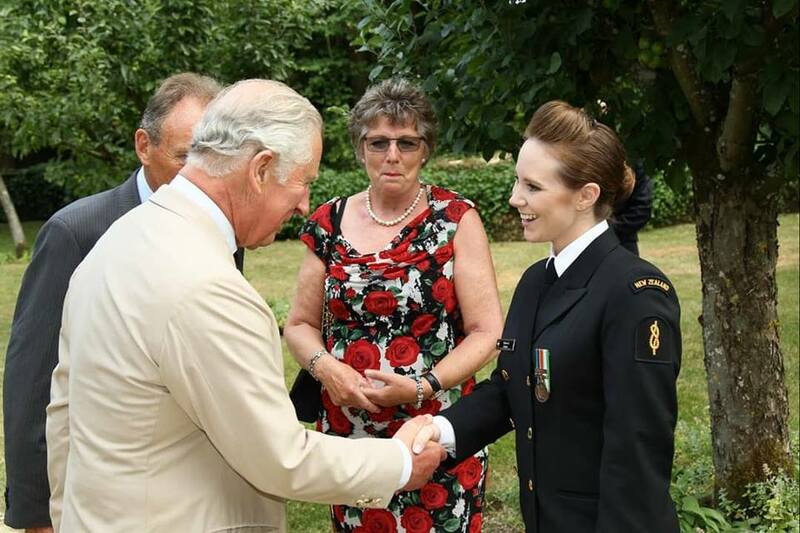 I then met HRH Prince Charles who said he remembered meeting me in France at the Battle of the Somme centenary and was extremely grateful that I had made the trip over from New Zealand. The rest of the conversation is all a bit of a blur, I think I was a little overwhelmed. A quartet from the Royal Marines provided the entertainment for the rest of the reception and I was able to meet some amazing people including a First Sea Lord, a gentleman who worked as a police officer for HRH, and some wonderful veterans. Many recalled visiting New Zealand on ship in 1974 for the Commonwealth Games. 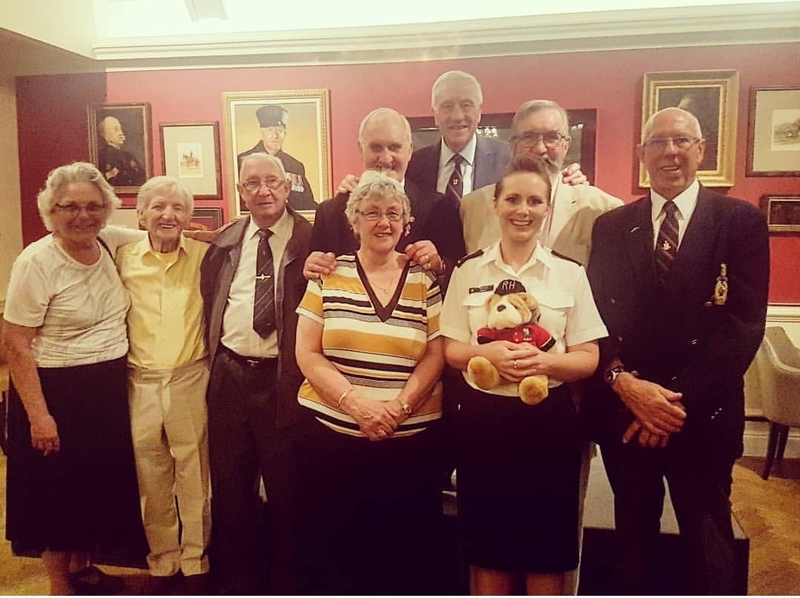 It really was a historic event having personnel from nine ships together: Britannia Royal Naval College, Dryad, Bronington, Jupiter, Norfolk, Minerva, Hermes/845 Squadron, Hermione and Fox. Everyone thoroughly enjoyed the day and it was such a privilege to attend. 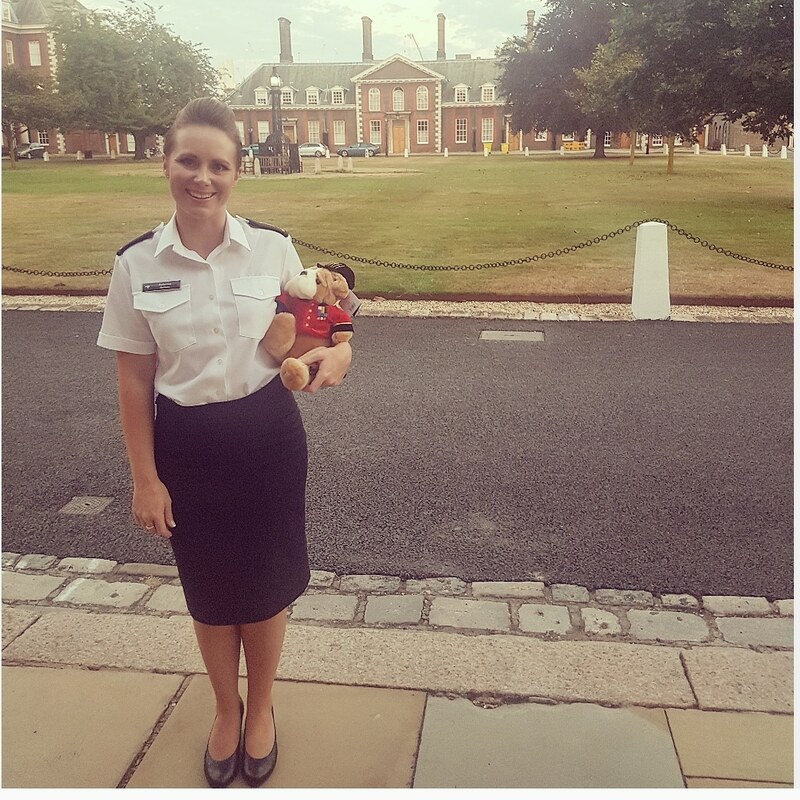 After a couple of days relaxing and coming down from my high, I headed back to London to perform a concert for the Chelsea Pensioners at the Royal Hospital. What an audience! They were all singing and laughing the whole way through and their banter was brilliant. Chelsea Pensioners are former members of the British Army but I was pulled aside by one group and they whispered “we aren’t meant to be here, we are Royal Marine veterans but we just had to come see you”, which absolutely made my day. 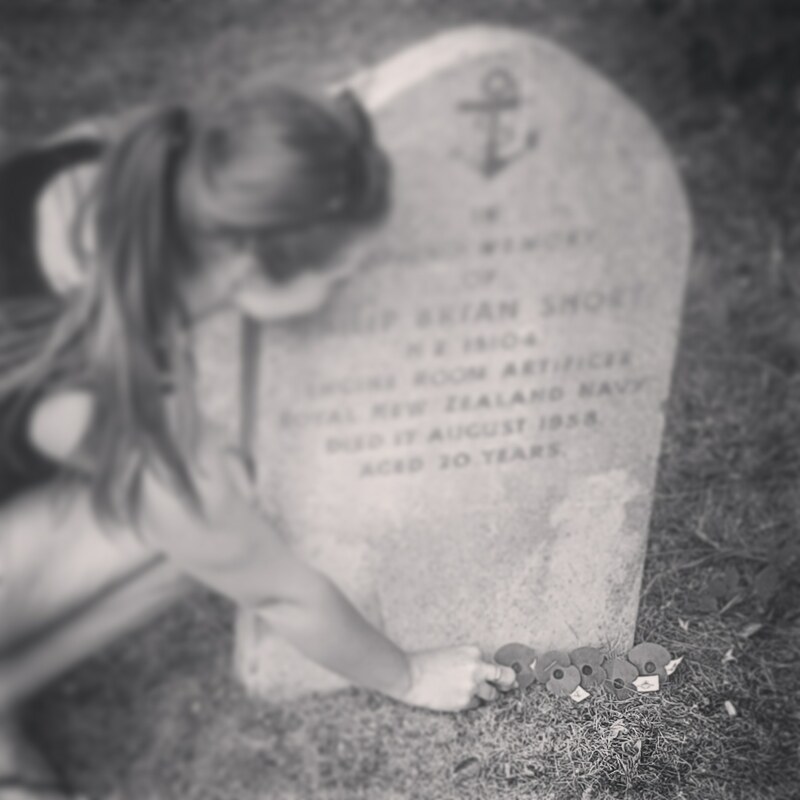 There was one last thing I wanted to do before I headed home and that was to visit the New Zealand sailor who lies over in London that we are bringing home later in the year. I have met his sister on a number of occasions through the Devonport RSA who is a lovely lady. 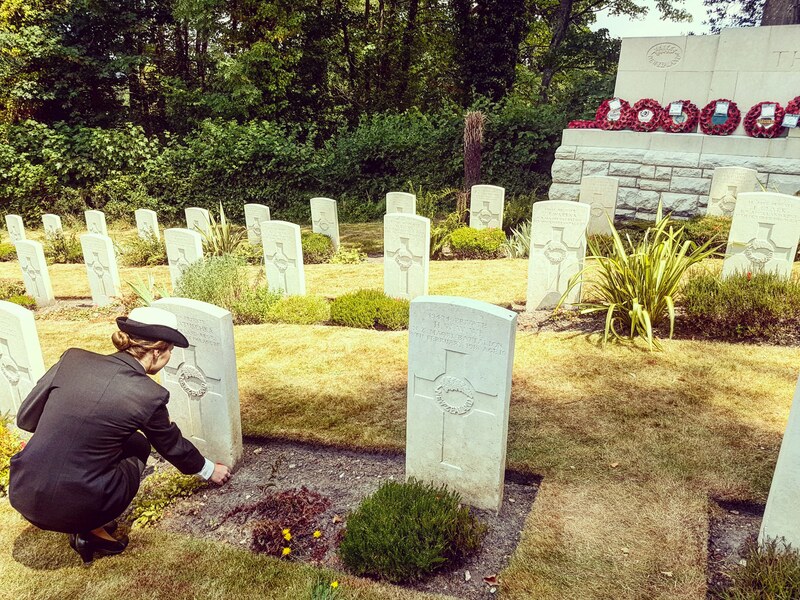 I placed a few poppies on his grave and told him how happy his family are that he is coming home, it was quite an emotional moment. Who would have thought, from busking on the streets of Devonport to singing for royalty at their private estate? And all thanks to the Royal New Zealand Navy. I must make a very special thank you to the team at NGAPONA who helped make this all possible. I am so grateful for all the opportunities I have had since joining the RNZN, I have so much respect for all those that serve and I am always so proud to wear the uniform.